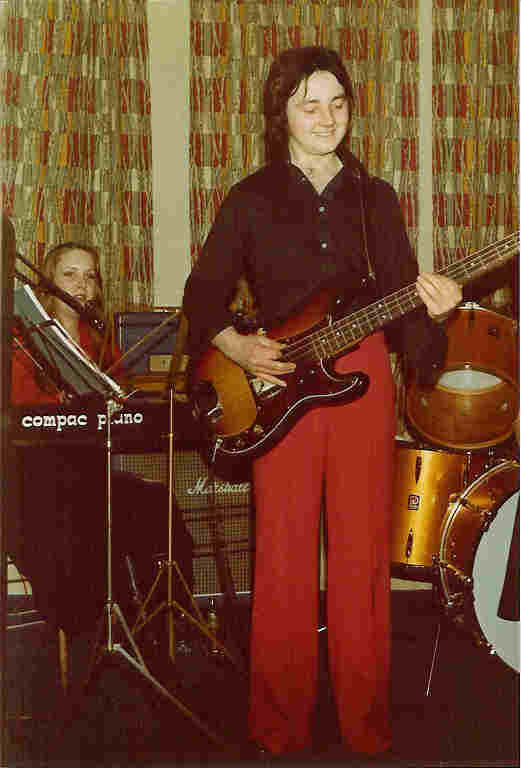 Clear Vision guest drummer/vocalist Keith Walker. 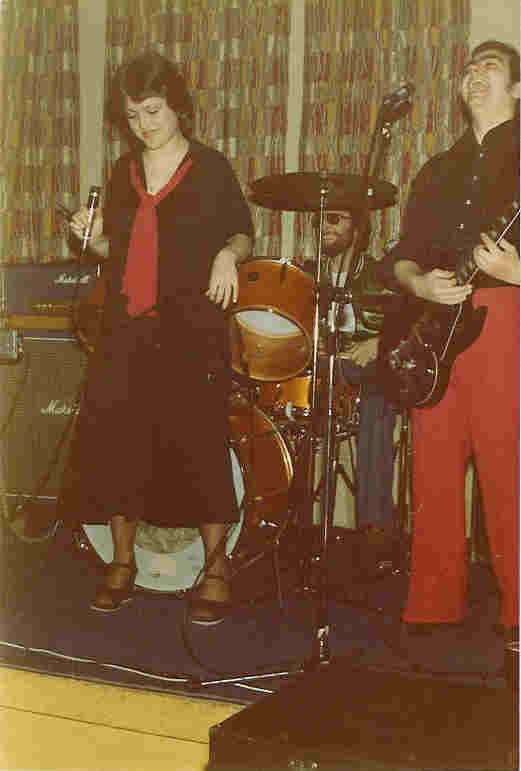 Jeanette Child (vx), Keith Walker (dr/vx) and Dave Barber (gtr/vx). I wonder what we are laughing at. 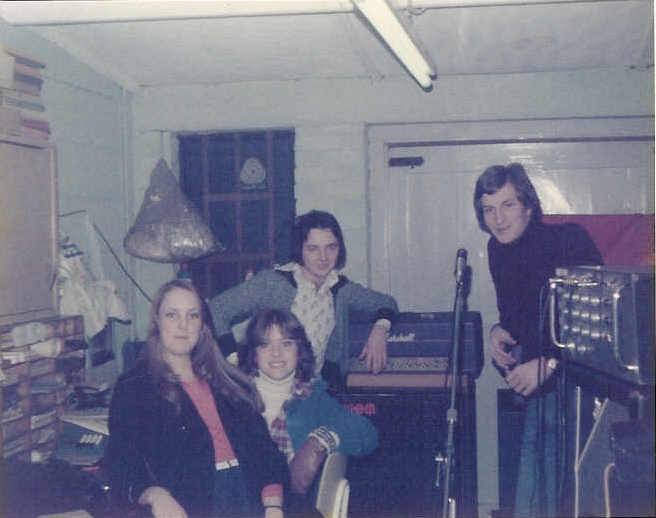 A pic taken during one of the two or three rehearsals held at my father's workshop in Peartree Farm, WGC. 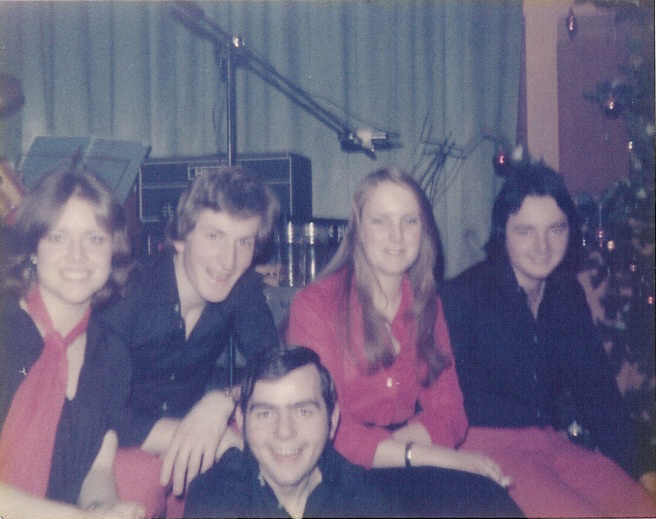 Mandy Wood (kb/hrm vx), Jeanette Child (vx), Pete Barber (bs/vx) and Nigel Warwick (dr). 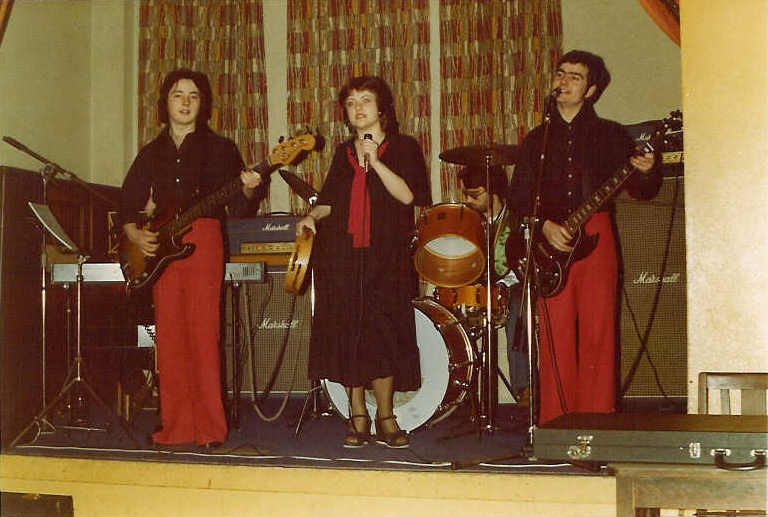 Notice the Selmer PA amp & Marshall 4x12" columns; both survived years of gigging. Sadly a poor quality pic. 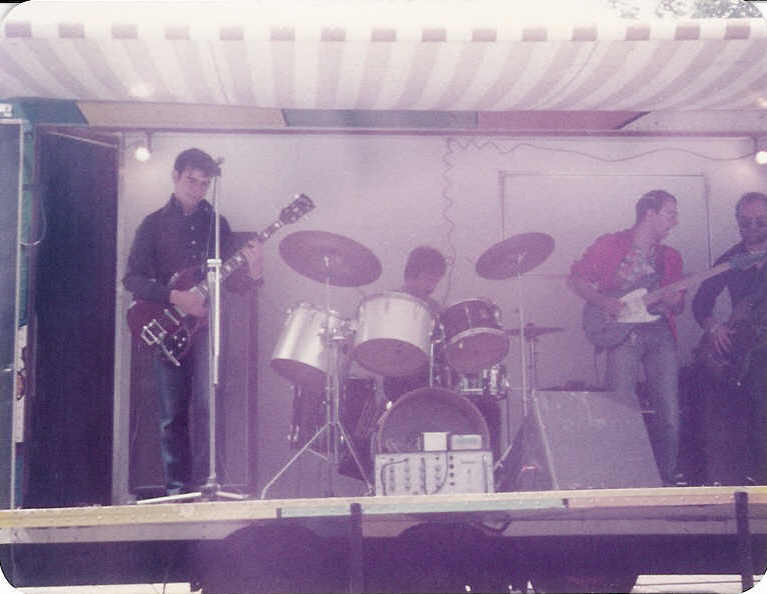 Entertaining in Watford Town Centre one Saturday in 1981, Dave Barber (gtr/vx), Paul Turley (dr), Derrick Timms (ld Gtr/vx) and Bob Johnson (bs/vx). 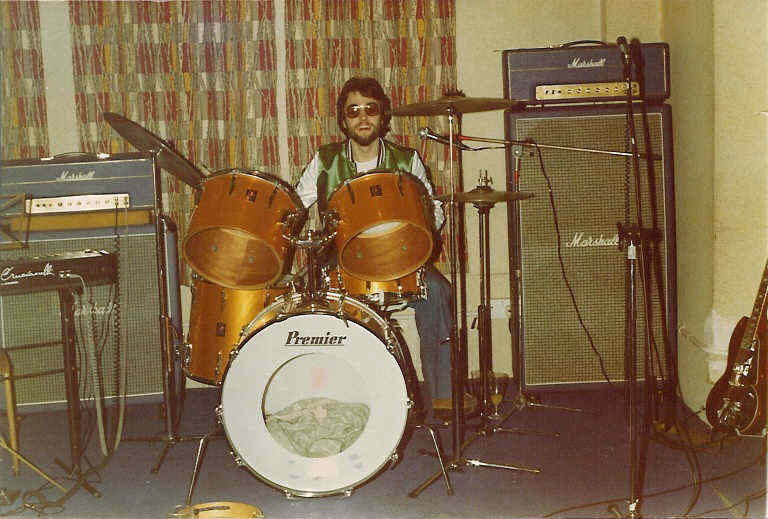 On Sat 01Nov81 Zombies drummer Hugh Grundy gigged with Bob Johnson and Dave Barber at Hitchin Trades and Labour Club using a red Premier kit. We were paid just £18 each. In 1981 Hugh lived in Heronswood Road, Welwyn Garden City. No, we didn't play any Zombies songs. Hugh did an interview for me when I was working with Majic 102.7, Miami. 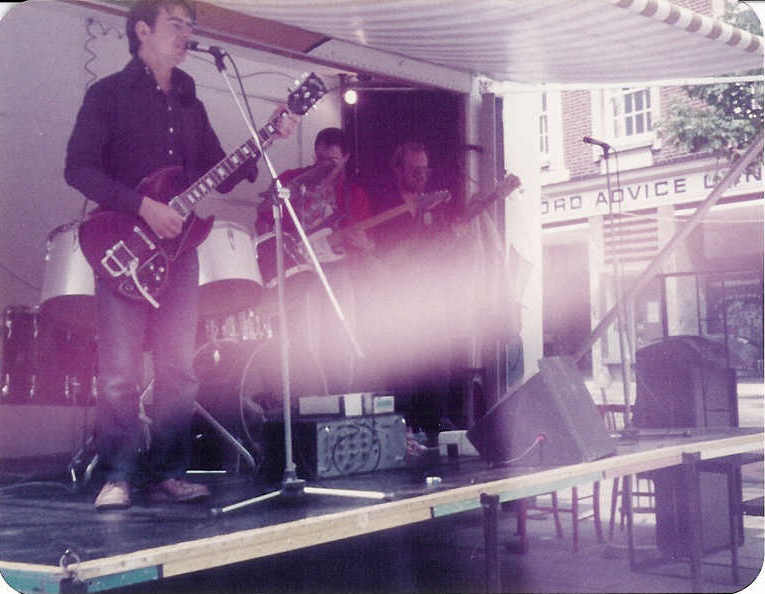 Another poor quality pic taken in Watford Town Centre in 1981. 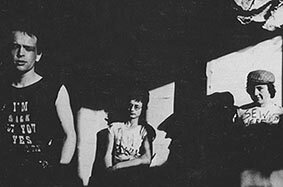 Derrick Timms has his own studio near Aylesbury and worked with George Harrison in 2000.